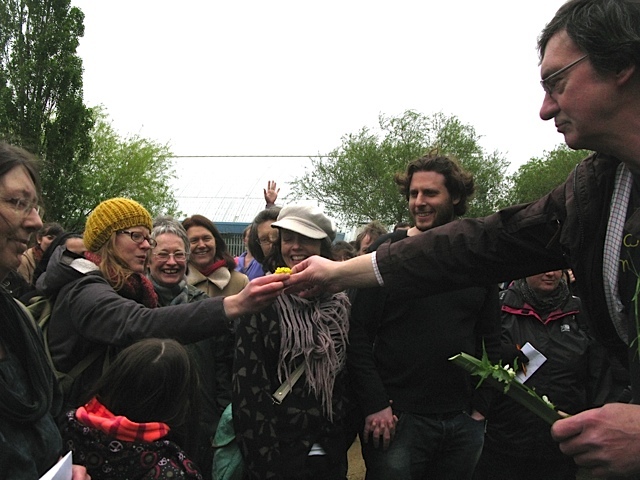 Join LETS for a Sunday springtime ramble over Walthamstow Marshes. With LETS members Phil Mason from Urban Harvest & Rasheeqa Ahmad from Hedge Herbs, we’ll pause to identify and discuss the seasonal edible and medicinal wild foods & flora that we find. Discover the wealth of natural interest on our doorsteps and find out about responsible foraging practices. We’ll then head up to the Springfield Park Cafe for refreshment and all those new to LETS can find out about our excellent local cashless trading scheme, meet other members and sign up if they wish. Children are welcome; bring your families and friends and LETS broaden our circles! Meet 2pm outside Lee Valley Ice Centre, Lea Bridge Road, Leyton E10 7QL. Contact Rasheeqa on 07784 506 494 if you’d like any more information. This event is jointly organised by WF LETS & Transition Walthamstow.